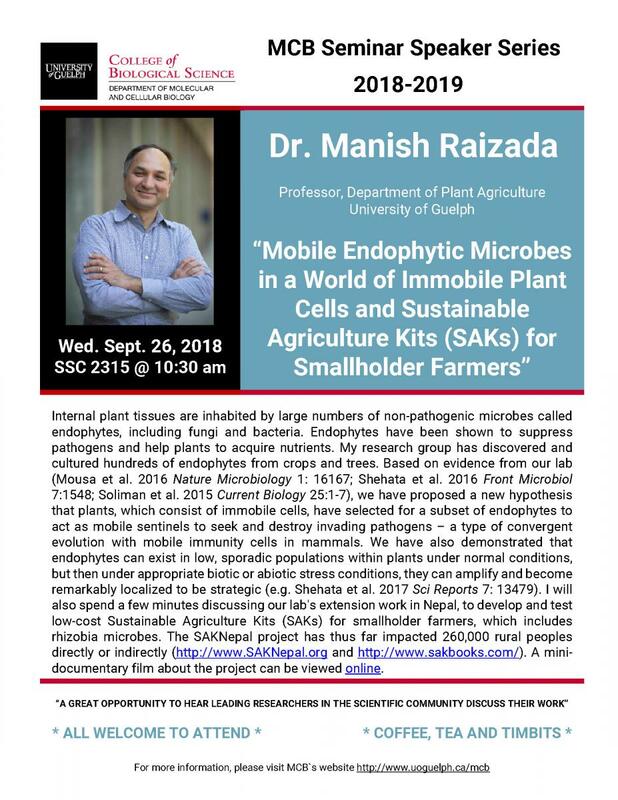 Please join us as we welcome Dr. Manish Raizada as part of MCB's Seminar Series on Wednesday, Sept. 26th, 2018. All are welcome to attend. Please see poster for further details.